OLD PARKED CARS. 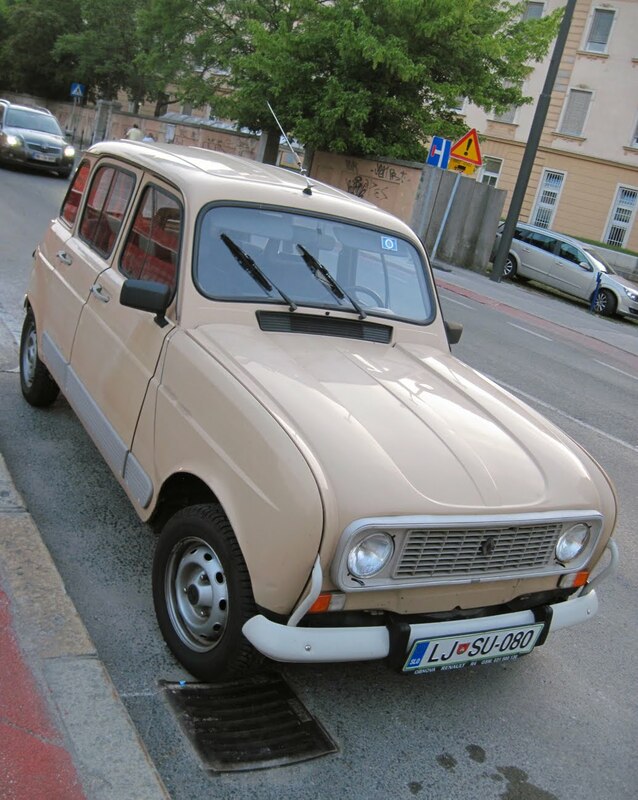 : 1979 Renault 4 GTL. 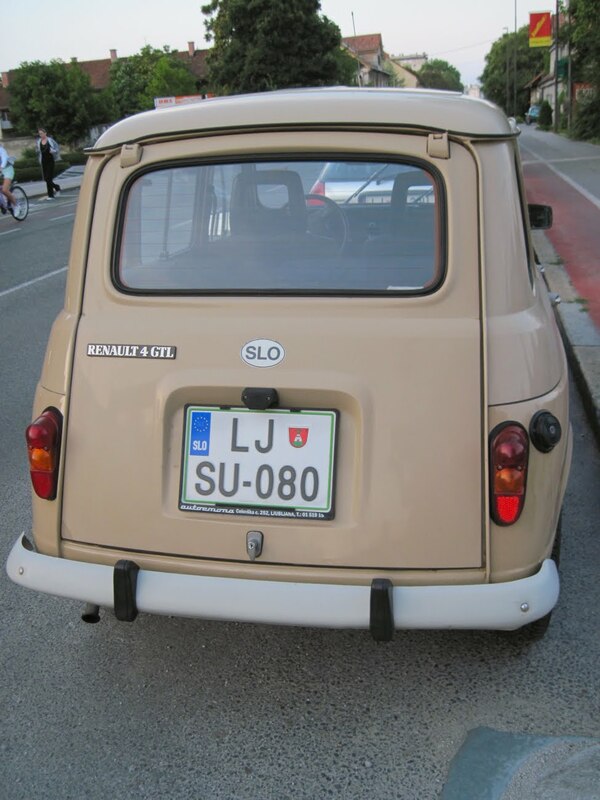 Thanks to my friend Maruška for sending me these photos from Slovenia. I love hearing stories about her Renault 4, which apparently had a dash mounted 4 speed. 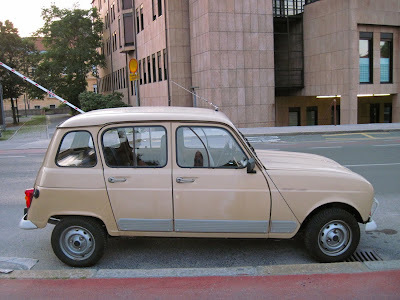 Isn't this the car that Michael Douglas drove off the waterfall in Romancing the Stone? I don't believe I've ever seen one of these in any other place - live or otherwise. 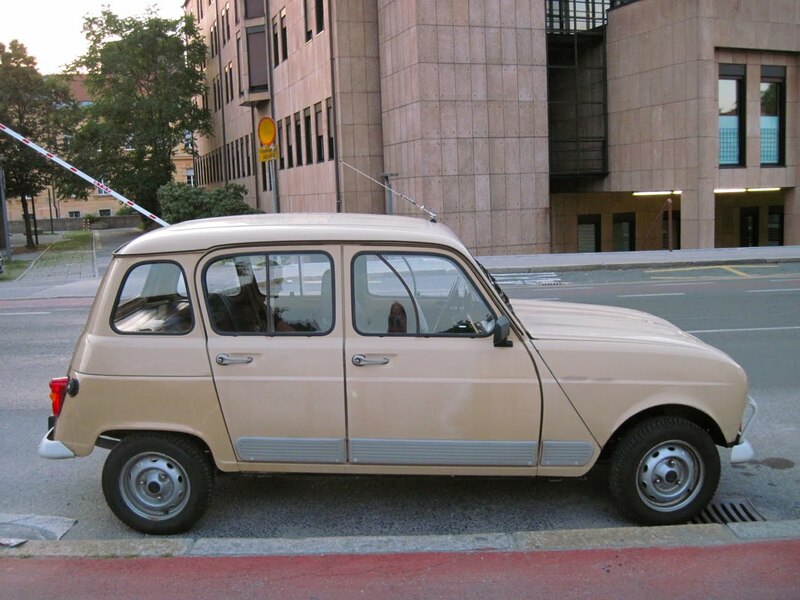 Being forced to drive a Renault would be fitting punishment for mass murderes and child molesters. Great writeup, Just love to say that your article is excellent . It is informative too. I have found a good site for my Renault . Renault is continuously making its cars more versatile,stylish,luxury and according to the latest automotive changes. I have bookmarked this site and i will get back to you. Thanks for nice article .